I f so, two stages heat changer(tap water and glycol water) will be changed to single stage(cold water). I n this case, the cold water passing the heat changer would be recycled to hot water tank directly. 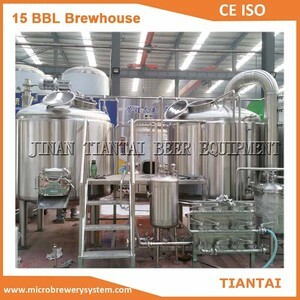 If you are interested in other capacity brewery equipment, plesae click the following links freely.
) Free debugging instruction of equipment until everything is functional; d. ) Management of equipments' long distance shipping from seller's factory to named port or station by buyer; e. ) Training of equipment maintenance and operating personally; f.
2. 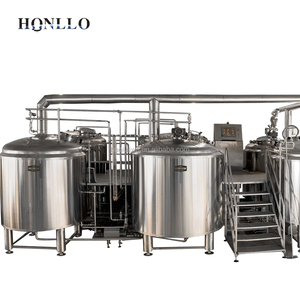 400l Brewhouse of malt drink beer production plant The Heating Way Steam The steam heating would require a boiler/generator. I n this case, the cold water passing the heat changer would be recycled to hot water tank directly. 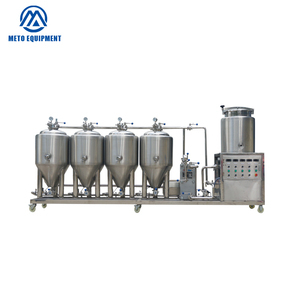 If you are interested in other capacity malt drink beer production plant, plesae click the following links freely. After that, the customers or the third party can come here to inspect the equipment again if available. And our engineer will design a layout for you according to your requirement. We are grateful that you are interested in our product and thanks for your time . 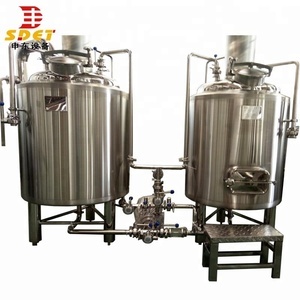 3) Design independent airway, let the vapour to rise faster to deliver a higher purity. . 4) This is a multifunctional equipment, it can make some different drinking, like Branky, Whiskey, Vodka and Essential oils etc. All of our products comply with international quality standards and are greatly appreciated in a variety of different markets throughout the world. 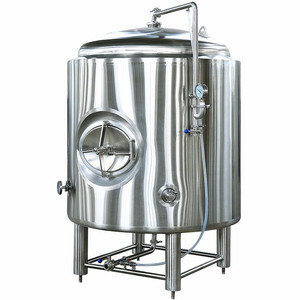 Our products range from beer brewing equipment to beer selling accessories. Choosing us is choosing a good shipping service. Award certificate Certificates are saying our milestones and experiences. 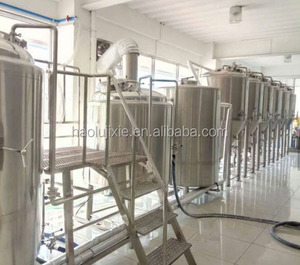 Shenzhen Xingmaitong Trading Co., Ltd.
Alibaba.com offers 101 barley beer producing plant products. 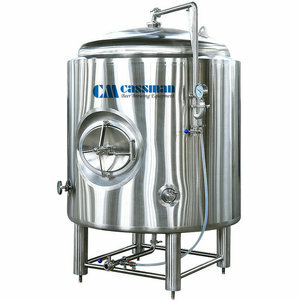 About 15% of these are fermenting equipment. 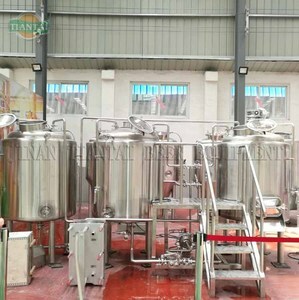 There are 23 barley beer producing plant suppliers, mainly located in Asia. 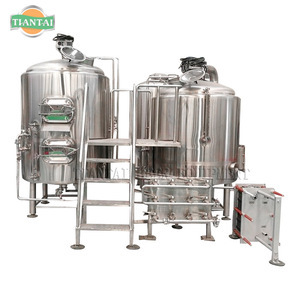 The top supplying country is China (Mainland), which supply 100% of barley beer producing plant respectively. 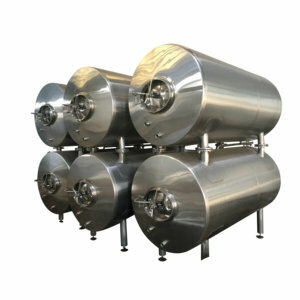 Barley beer producing plant products are most popular in North America, Domestic Market, and Central America. You can ensure product safety by selecting from certified suppliers, including 13 with ISO9001, 9 with OHSAS18001, and 4 with Other certification.